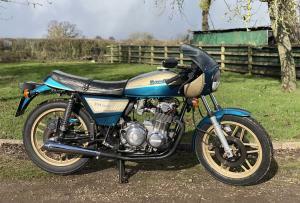 Benelli 354 Sport 2 1981 . This Is A Well Built , Classic Italian 4 Cylinder ; Showing Only 10876 Miles. 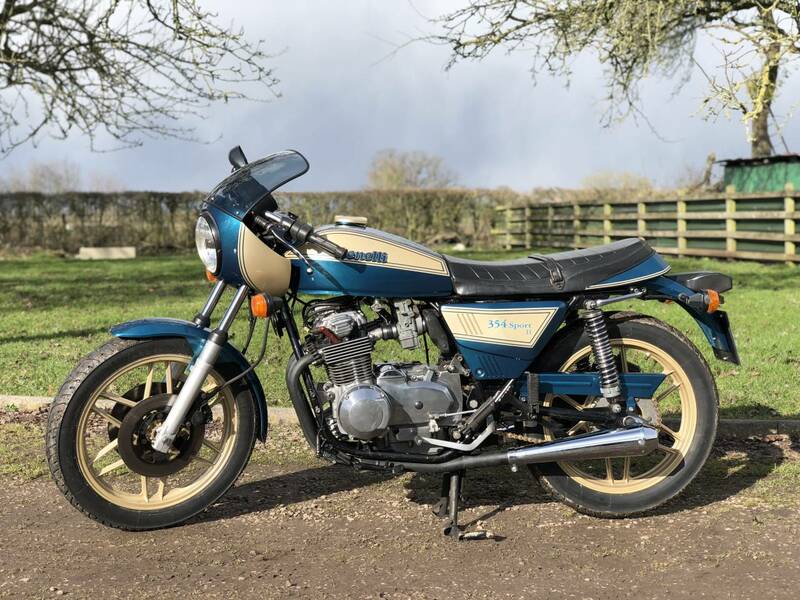 This Is A Rarely Available Model, That's Been Totally Restored , By A Talented Benelli Club Member ,To A High Cosmetic And Mechanical Standard ; The Photos And Video Will Show You Its Superb Condition . 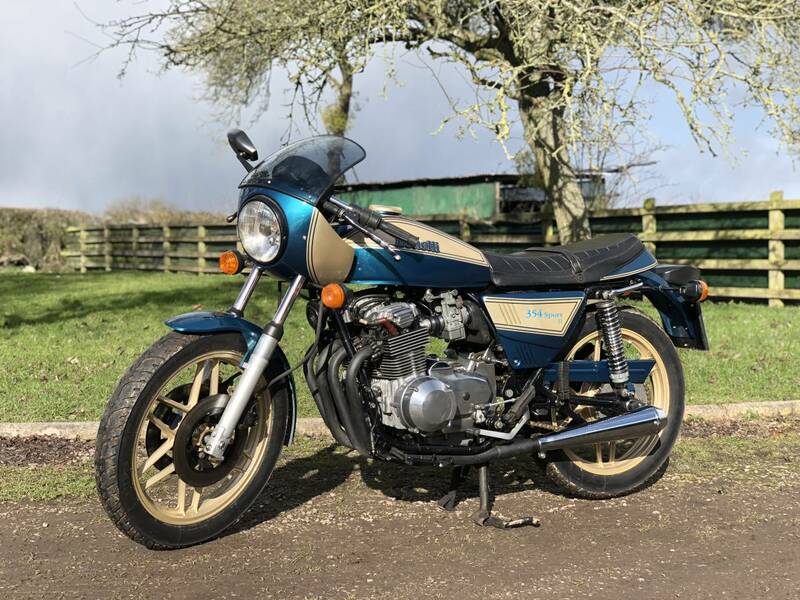 Press The Button And It Fires Up Immediately , With A Crisp Reving , Mechanically Quiet Engine , That Runs , Sowing Machine Smooth , With A Lovely , Meaty Exhaust Note . It's Just Been Serviced And Comes With A Fresh ; No Advisories Mot. Many Have Said That Benelli's Were Built To A Higher Standard , Than The Equivalent Hondas , Like The 400/4 . If You See , Hear And Ride One , You Will Probably Agree! 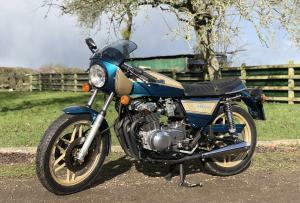 This One Has The Standard Spec , Twin Disc Front Brake ; So Great Stopping Power ; The Honda Has A Single Front Disc ! It Also Has A Flip Up Seat , For Easy Battery Access , Etc ; The Honda Is Bolted Down! Testers Say The Honda Has A Higher Top Speed ; But When Do You Want To Do 100 mph! ; But The Benelli Handles Better ... The Choice Is Yours! 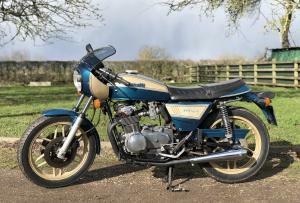 A Lovely , Smooth , Quick Reving , Middleweight , Italian , In A Lovely , Bespoke Colour Scheme , Of Turquoise And Champagne . If Your Thinking Of Buying A Honda 400/4 , Then Try This Individual Machine First And Make Up Your Own Mind , As to Which You Like Best . 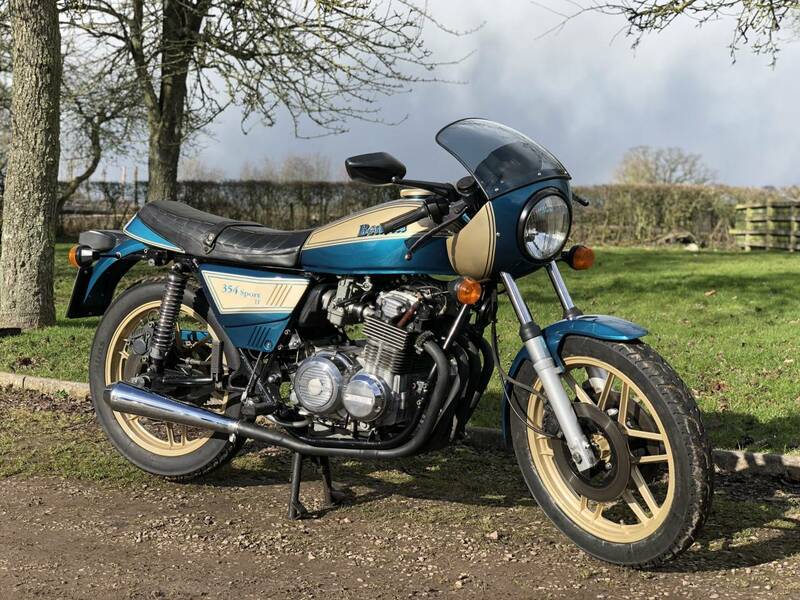 As Much Rarer And In Our Opinion , Better , Than The Honda , Should Prove To Be A Wise Investment .